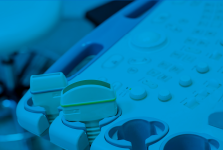 Compliance with IPEM1 Report 102, Quality Assurance of Ultrasound Imaging Systems, and the ISAS2 standards should be part of every modern ultrasound departments quality programme, ensuring image quality is always paramount, patient diagnosis is not compromised, and potential faults are identified early; potentially 1 in 3 ultrasound probes in clinical use are defective3. 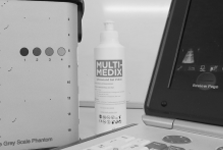 Multi-Medix provides peace of mind via a complete range of quality assurance services, designed to meet the needs of busy ultrasound departments. This flexible service ensures that your department correctly manages all aspects of its assets, from installation, through service and repair, to disposal, as is recommended in the UK by the MHRA4 in their document Managing Medical Devices, April 2015. For a bespoke Quality Assurance solution, please contact us.